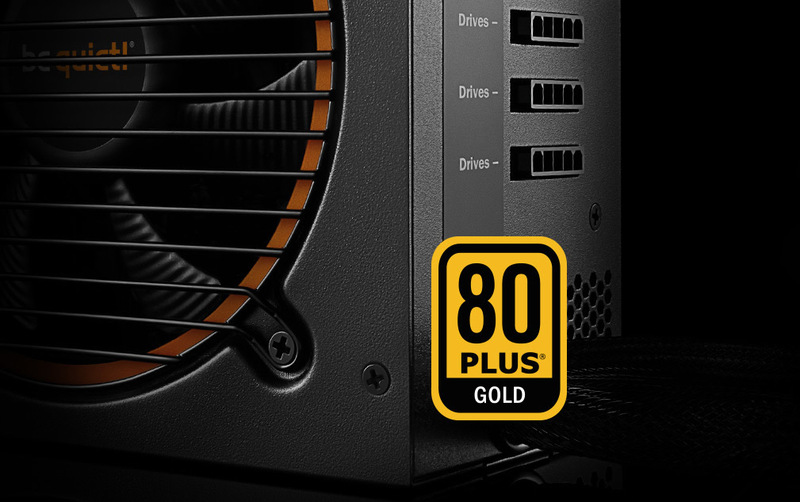 Pure Power 11 500W is certified 80 PLUS Gold with an efficiency rating of up to 92% – a truly outstanding level for this class of PSU. The most compelling benefit: lower power consumption and consequently lower costs, and cooler, quieter operation. 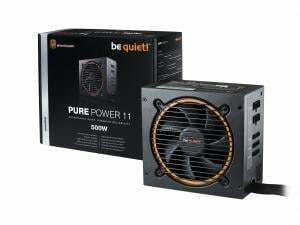 Pure Power 11 CM offers 500W of continuous power with two independent 12V rails for signal stability and two PCI express connectors for multi-GPU systems. 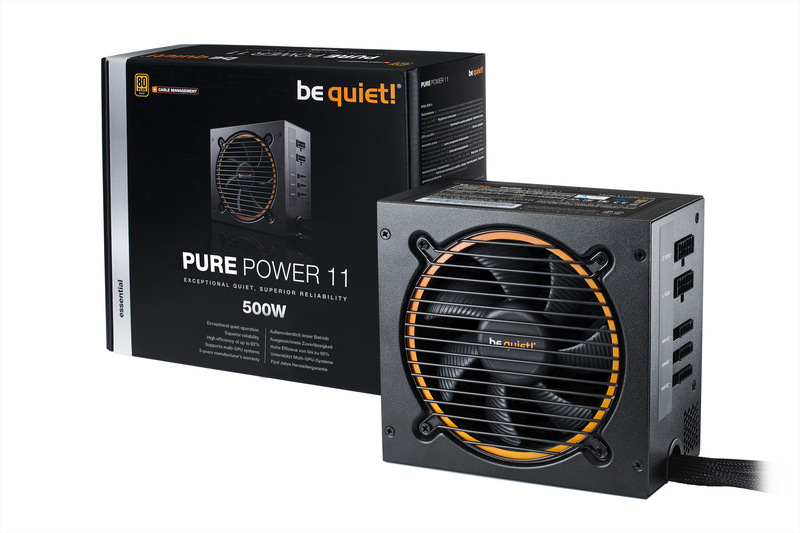 It is suited to very quiet systems, for upgrading or building multimedia or multi-GPU gaming systems. The use of Active Clamp and Synchronous Rectifier technologies provides very stable operation. The PSU is equipped with DC-to-DC conversion for even tighter voltage regulation under heavy cross-loading conditions. 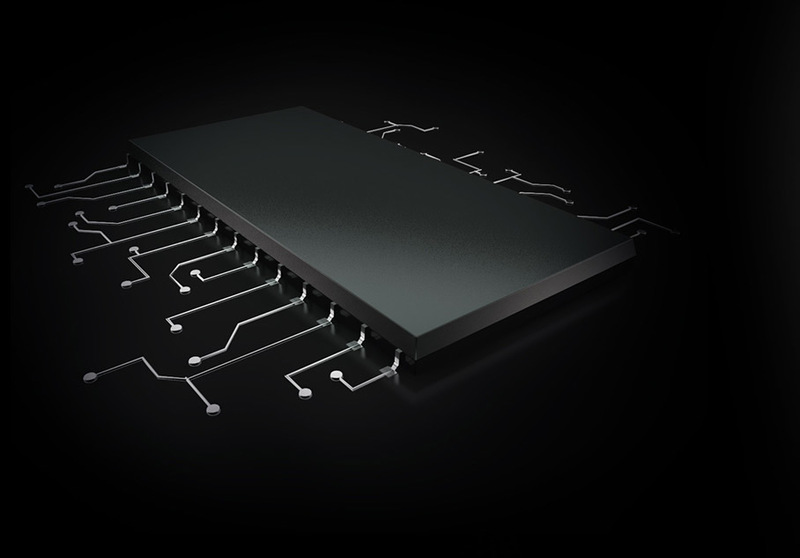 This ensures secure operation for next generation processors and graphics cards. 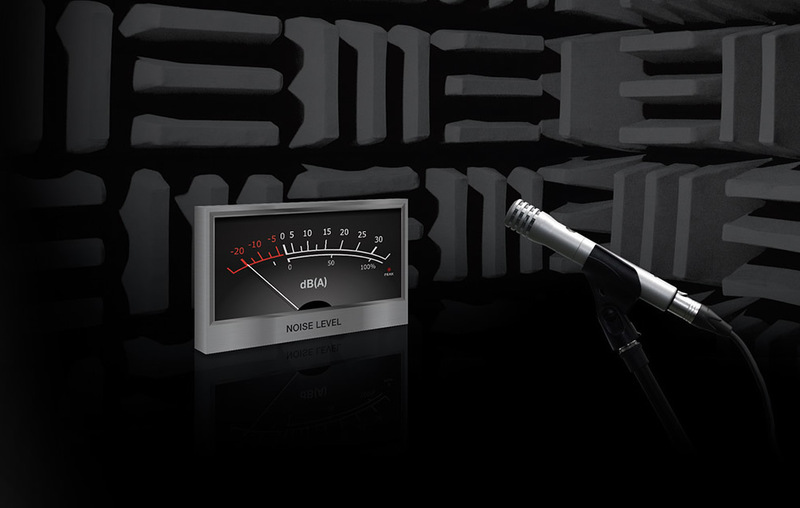 The silence-optimized 120mm be quiet! fan is thermally governed to strike the best balance between effective cooling and quietness. 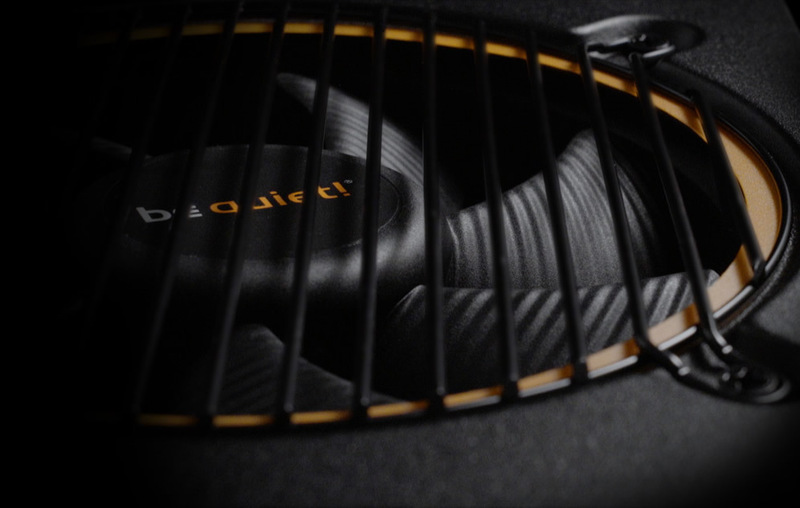 Airflow-optimized fan blades reduce turbulence, enabling best-in-class quiet functionality and the almost inaudible operation that be quiet! 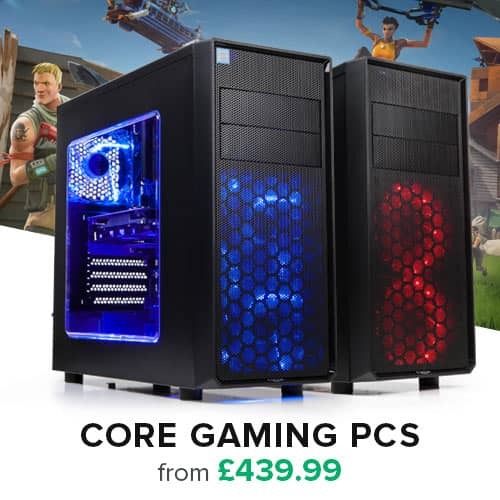 is famous for. Pure Power 11 500W CM is certainly eye-catching. 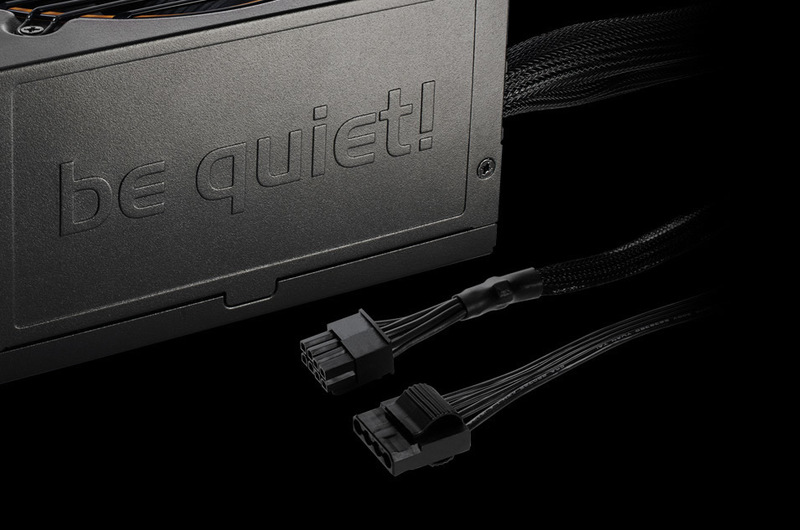 The modular cable management is enhanced with premium black, sleeved cables. The flat cables used for the PCI-express connection and drives simplify installation as well as keeping the system tidy.